Itinerary - The ferry trip across from Sweden to Finland takes all day but is quite scenic. After exploring Finland we left the motorhome at Helsinki Airport and flew to St Petersberg, Russia, for just over a week. This was the most difficult visa of the two we had to obtain for our 12 month trip. It required 2 trips into London a week apart. After flying back to Finland and picking up the motorhome we had time to have another look around Helsinki before catching the ferry to Estonia. 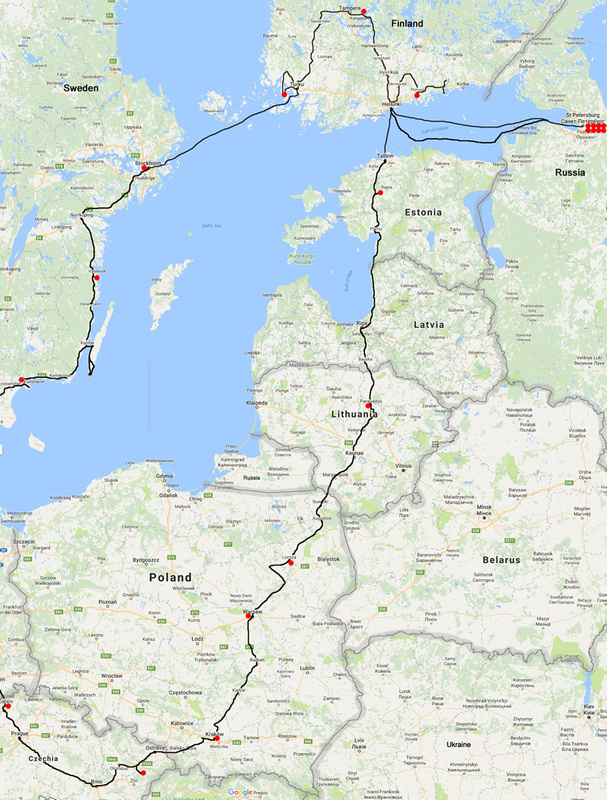 We travelled south through Estonia, Latvia and Lithuania then into Poland.